"It was surprising to me that so many fatalities occurred outside the flood zones," says Sebastiaan Jonkman, a professor at Delft's Hydraulic Engineering Department who led the new study. 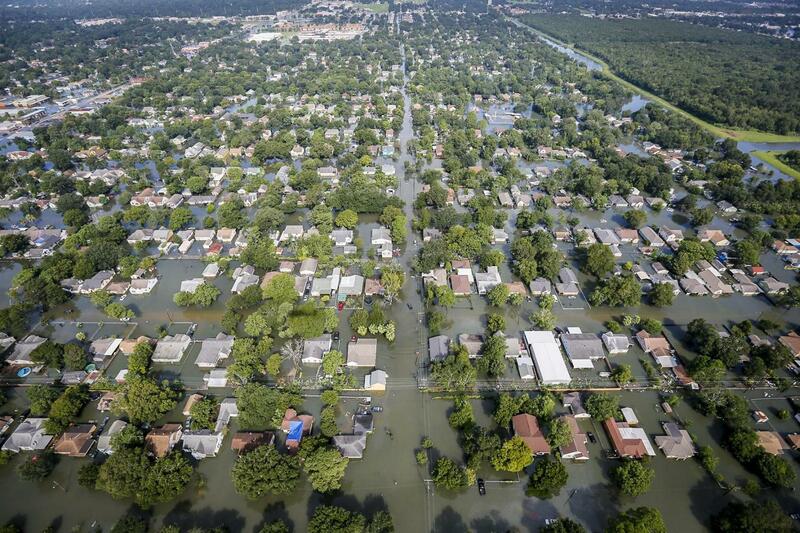 Drowning caused 80% of Harvey deaths, and the research showed that only 22% of fatalities in Houston's 4,600-square-kilometre district, Harris County, occurred within the 100-year floodplain, a mapped area that is used as the main indicator of flood risk in the US. "Hurricane Harvey was much larger than a 100- or 500-year flood, so flooding outside of these boundaries was expected," says Jonkman. Rainfall totals in the week after the hurricane made landfall were among the highest recorded in US history, with over 1000 mm of rain falling in just three days in large parts of both Harris and surrounding counties. As a result, a report by Delft University found that "unprecedented flooding occurred over an area the size of the Netherlands." Nonetheless, it was surprising for the researchers to find that so many of Harvey's fatalities happened outside the designated floodplains given that these zones are expected to be "reasonable predictors of high-risk areas," according to Jonkman. The research began within days of the storm: "We wanted to identify lessons that could be learned, for both Texas and the Netherlands, from Harvey's impact and the local and government response to the flooding," says study co-author Antonia Sebastian, a postdoctoral research associate at Rice University's Severe Storm Prediction, Education and Evacuation from Disasters (SSPEED) Center, who was based at Delft University when Harvey struck. The team compiled a database of fatalities, using official government records and media sources, which they analysed in the Natural Hazards and Earth System Sciences study published today. They concluded that at least 70 deaths occurred as a consequence of Hurricane Harvey, including 37 in Harris County. Of the Harris County deaths, eight were in the 100-year floodplain, 10 more fell within the larger 500-year floodplain, and 19 were recovered outside the 100- and 500-year zones. "The number of fatalities outside of the floodplains highlights how widespread flooding from Harvey really was," says Sebastian. Jonkman says that the current flood maps will need to be improved, but that floodplains should not be abandoned as an indicator of high-risk areas. "Better communication of their purpose and limitations would help reduce risk."